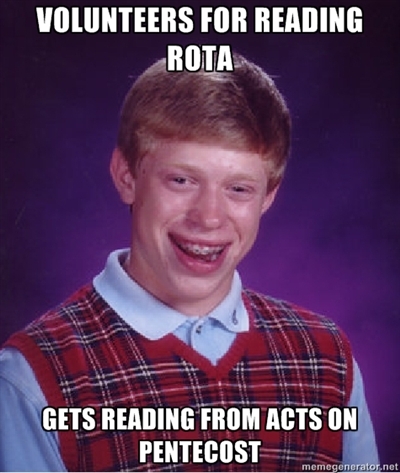 This entry was posted in Memes and tagged Bad luck Brian, bible, reading. pronunciation by masterofthememes. Bookmark the permalink. I once set my hair on fire in the church hall when I was supposed to be lighting the gel fuel cans under the catering trays. It was an Alpha supper.